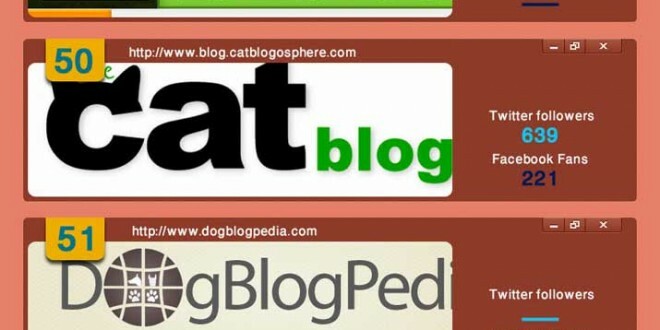 In below infographic, you can view the top 100 Pet blogs to follow in 2013. If you’re a pet lover then you should bookmark all of the below blogs! Click here to see the top 50 pet blogs of 2014. As a relatively new pet blog, we were happy to be placed at number 41. This year we’re posting more great pet articles than ever, so be sure to follow us on twitter and like us on facebook to stay up to date with the latest pet news. The Top 100 Pet Blogs of Next Year? Are there any pet blogs you think deserve to be included in the ‘Top 100 Pet Blogs’ for next year? Let us know in the comments below! I would also request you to consider my blog too for this year. http://www.veterinaryhub.com. Thank You.